Change of Address with Postal Office | Change of Address Postal Office and many other organizations including the Postal Office. The most efficient change of address service online. 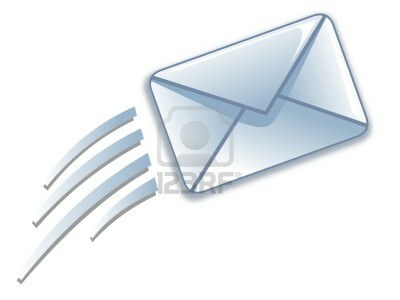 Notify the postal office and many other change of address form (mail forwarding) organizations. Perform your change of address form here for mail forwarding to the postal office and others. A secure, fast address change form process. Plus, get Automatic Junk Mail/Telemarketing Call Removal to reduce junk postal mail and spam calls to your new address and receive Special Offers on services for your new address, to save on broadband, cable, phone and other services. This service makes changing your address easy with the Post Office. When you move, your mail will get forwarded to your new address. For just one cost, which includes the Post Office $1.00 filing charge, we will file your official address change request with the United States Post Office , save you time, notify up to 100 other organizations on your behalf, offer exclusive assistance not available from the Post Office, and help you get the services you need, and in addition you will receive a FREE E-Book. Our service is a private business entity that facilitates the address change request process for its users and is not affiliated with the US Post Office or any other government agency but does act as an authorized agent for those wishing to submit an address change filing to the US Post Office. By clicking the continue button below I hereby confirm that I am the person, executor, power of attorney, guardian, authorized officer, or agent of the person for whom mail would be forwarded by the United States postal office under this change of address order. Applying for the form through our services costs $39.95. Applying for the form on the official site costs $1 online. This site is a private business entity that facilitates change of address requests for its users. This site is an independently owned complete change of address site and is not affiliated with the United States Post Office. This site acts as an agent for users wishing to file their address change request with the United States Post Office and many thousands of other organizations. The fee for this service includes your address change, including processing for unlimited address changes for a single name or business within 3 months of your initial order and includes any processing fees charged by the Postal Office for submitting an online change of address request. The fee also covers inclusion in optional junk-mail removal and do-not-call list subscriptions, plus processing of new orders for services such as television, broadband, and telephony services. In addition, the fee covers all processing of change of address notifications for additional organizations such as frequent flier programs, catalogs, magazines, insurance companies, newspapers, broadband, and telephone/cellular companies. This service is provided for a fee to cover postage, handling and processing for notifying the Postal Office and several other organizations of your change of address. This address change service acts only as a facilitator and agent for your address change and will attempt to make every reasonable effort to notify the proper entities of your address change. This change of address service solely relies on the customer's accuracy in providing correct address change information in order to process your change of address properly, This further does not guarantee that the organizations notified (including the Postal Office at will process your address change nor is this service liable in any way for such notification(s) and mail forwarding to be performed by the notified organization. All sales are guaranteed and a no-questions-asked refund is available if you are not satisfied with your order. The accuracy of the information is the responsibility of the user. Using this change of address service also entitles you to receive a free energy conservation e-book, delivered electronically to you, absolutely free of charge.